Posture makes such a big difference in singing. With a healthy, supportive body alignment, we look and sound better. But what constitutes that healthy, supportive body alignment? How do we create it in our own bodies as singers and impart it to our voice students as teachers? This is the first in a series of simple posture tips that are designed to give you the tools to create a better alignment--quickly, easily, and without having to learn anatomy and physiology. We want to keep our instructions simple, but we need to be more specific than just saying, “Stand up straight!” This series will help you recognize harmful patterns and remedy them, without spending years studying bodywork and alignment. While each of us has a unique posture, there are certain patterns that are very common. 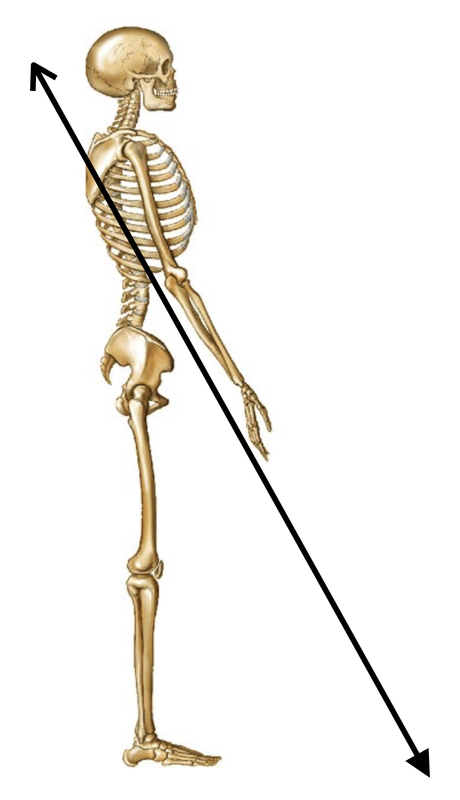 One common posture is what I call “dumping into the quadriceps,” which is allowing the weight of the torso and head to fall forward onto the front of the legs, with a disproportionate amount of weight resting on the balls of the feet, and little weight on the heels. This shortens the torso, and prevents the diaphragm from being fully supported by the pelvic floor, legs, and feet. [See the note below for an explanation of why that postural habit is so common.] Here's a short clip of me fixing this posture in a workshop. The quick fix for this misalignment is very simple. Imagine you are a puppet, with a string going from a spot on your spine right between the tops of your shoulder blades, continuing diagonally through your torso, and coming out through your lower abdomen (a few inches below the navel), and then continuing down to the floor. In the “dumping into the quads” posture, gravity is the puppet master, and it is pulling your body down and forward, toward the floor. To fix the posture, use that same image of the string, but now YOU are the puppet master, and you imagine being lifted by the string in the opposite direction, up and back on that same diagonal line. It only takes a moment to explain, and it’s very easy maneuver to understand, execute, and remember.